This permanent wash pad system from Morclean simplifies vehicle washing for the industrial cleaner. It is ideal for heavy-duty environments such as vehicle wash businesses, car sales, hand car wash’s, and more. 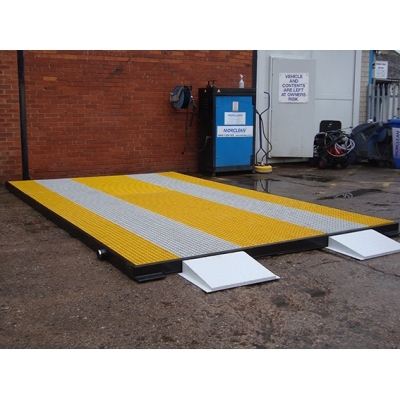 This wash pad from Morclean satisfies current legislation on the containment and disposal of water from a wash bay. It is designed to catch all wash water, contain it and drain it away to a suitable drain where the water doesn’t enter the water table. 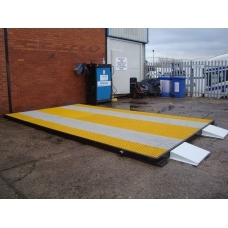 The Morclean permanent wash pad is made from welded plastic and fibreglass panels. It has kerbed edges and a dedicated surface that contains the wastewater. 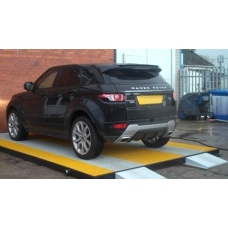 One of the best features of the Morclean permanent wash pad is that it eliminates the need for on-site construction ie excavation work and a specialist wash bay installation. The wash pad sits on top of the ground and can be transported and installed easily. The pad is available in 5x3m and 6x4m depending on your needs. 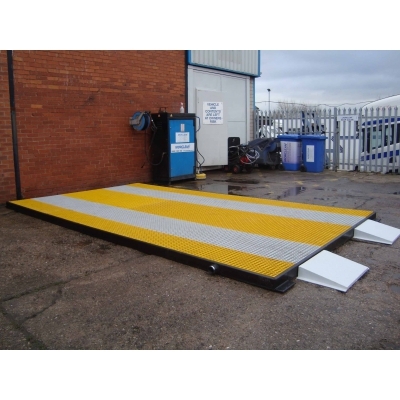 It is fitted with ramps for easy vehicle access. The pad can be used in conjunction with the Morclean Pump Station or it can be integrated into a full water reclaim system. Vertical surround 50mm sheet forming a fully sealed bund from welded construction. 38mm thick fibreglass grating to cover the full area of the sump finished flush to the top of the surround. 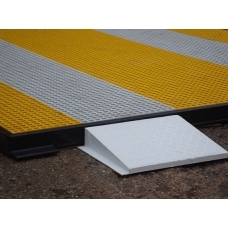 2 x 600mm wide sections in grey to indicate the vehicle path, the central section and 2 x outer sections in yellow to fill the remaining area. the bottom of the tray.